Crow Girl: The Crow Girl is a recurring character in books by Canadian author and musician Charles DeLint. She acts silly most of the time but shows up when you need her. Super-secret liner note: there are actually two Crow Girls in the DeLint books but the song emerged with only one. Level Up: The geek girlfriend’s lament, inspired by Jean’s own experiences with college boyfriends who would stay up all night playing Dungeons & Dragons instead of, well, paying attention to their girlfriend. This song was originally written during the October 2010 session of Portland Ladies Rock Camp, when Erin, Natasha and Jean were joined by Peggy (Jean’s sister who played bass) and formed a band for the weekend called Cupcake Coalition. Ignite: A tribute to Ani DiFranco, Erin’s favorite musician, who always tells it like it is; written as part of the 2012 RPM Challenge. Some Days: The majority of the lyrics of this song were written in the middle of a run. It is meant to be a kick in the pants to get out there and exercise. The Patio: For years Erin clipped out photos of patios and dreamed of relaxing on them. Then she had a patio epiphany and realized she really wasn’t interested in sitting still. This song is about being ok with that. 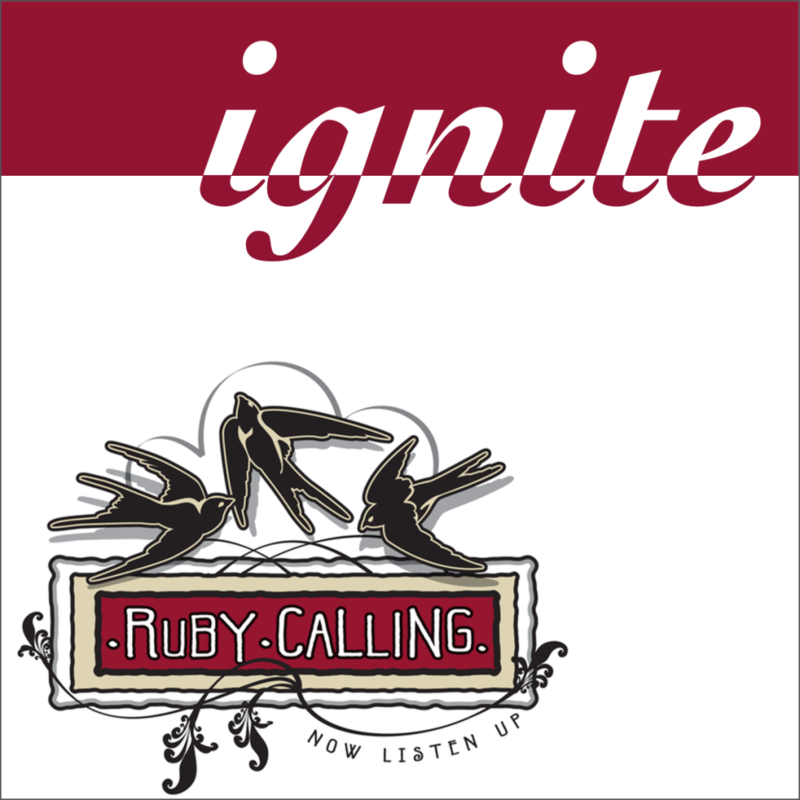 Please support Ruby Calling by buying our music on Amazon or iTunes.